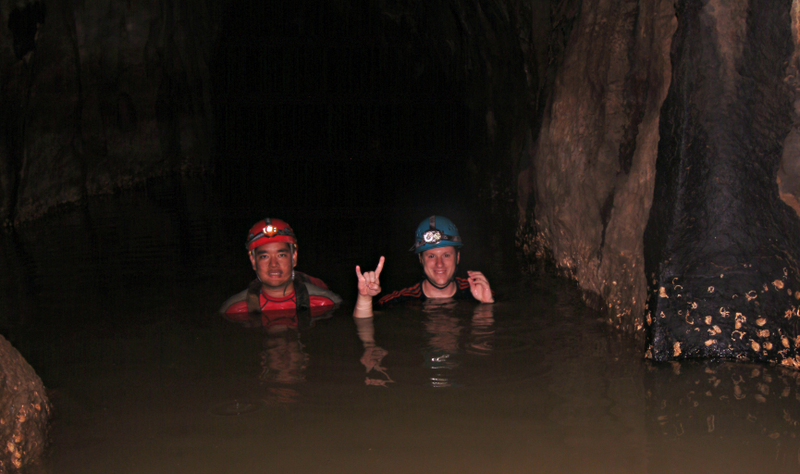 Jud Partin, a Research Associate at the University of Texas Institute for Geophysics (UTIG), recently made waves in the climate community by challenging how the Younger Dryas affected rainfall in the Philippines. His research earned him several guest spots on a variety of prominent news outlets. Check them out below. • In his first ever live interview, Partin appeared on Top of the Mind with Julie Rose, a BYU Radio program. • Appearing with the Smithsonian’s Mike Osborne on the Smithsonian podcast, Partin discusses his research. • The Washington Post covered Partin’s research in an article in September, alongside research from Germany’s Alfred Wegener Institute about Greenland’s rapid thawing. • Partin and his research were mentioned tangentially in a Forbes Tech article explaining reasons why Greenland affects the globe’s weather, climate and society. • University of Texas’ own The Daily Texan spoke with several researchers, including Partin and UTIG Ph.D. student Kaustubh Thirumalai, for their coverage of the study. Read the full academic research paper here.